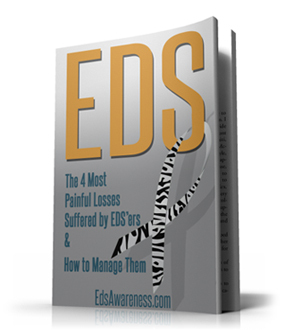 Living with Ehlers Danlos Syndrome (EDS) is like being a doll that is stitched together but whose stitches are slowly coming apart at the seams. You know it, you feel the pain but are powerless to stop it. You have to live every day knowing your body is falling apart. Many of us don’t work or work part time due to the pain and constant onslaught of dislocations or subluxations. My collagen processing is chronically impaired, which has led to many, devastating complications. Multiple herniated discs, broken ligaments, torn hip labrums from a medical assistant who did not understand the nature of the disease, fingers that require medical splinting, ganglion cysts, cervical arachnoid cysts, kneecaps becoming displaced and the list goes on. Perhaps because weak collagen causes hypermobility in all joints of the body, we seem to move more fluidly. This seemingly normal way of moving, coupled with deceivingly “healthy” young looks, often leads to horrific judgements. 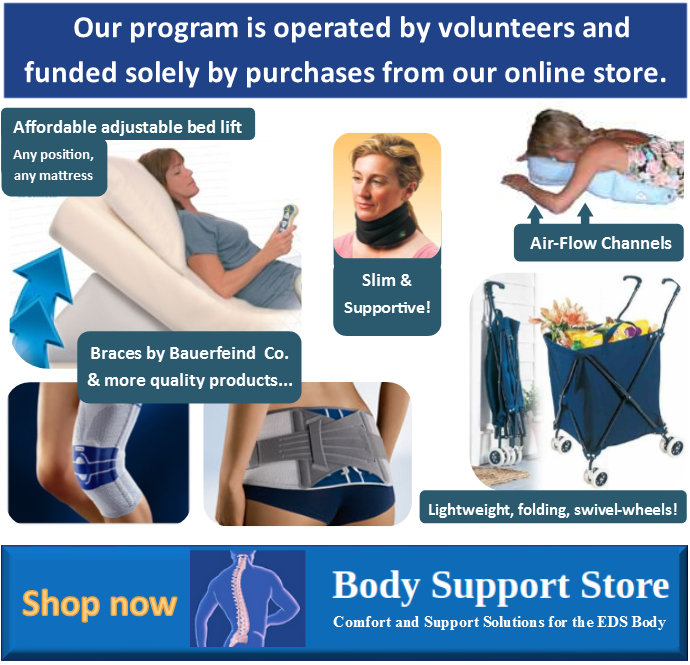 Doctors have also found that something called the “venous pooling” affect leads to increased adrenalin levels causing many of us to injure ourselves “over-doing it” long before we knew we had the disease. But make no mistake the disease is real and the internal injuries we continue to acquire are like a constant physical and mental assault upon us leading to many of us to finding help in a service dog. Now imagine walking into a restaurant with a service dog, looking perfectly normal, dressed well, made-up, smiling, and trying to enjoy life despite the constant pain and injuries. Most are curious about the dog, kind and inquisitive, but every so often some are judgmental, harsh and unbelieving. All the effort it takes to get ready on a bad day to all the elation you experience in getting ready on a good day can be destroyed in an instant. Last week I walked into a restaurant and was immediately asked, “Do you have your papers with you for that dog?” I said that I did and offered to show them to the server. At which point I was told she didn’t even need to see them. Under the American Disabilities Act this question should not even be asked. Sadly, most of the unkindness I experience in relation to service dogs come from those who are the most poorly versed in the law surrounding them. The server almost seemed angry that my dog was there and wanted to make me feel so uncomfortable and unwelcomed that I might voluntarily choose to leave. I nearly did go home, and my friends were so upset having also witnessed this. On this occasion I did ask to speak to the manager to try to educate a little in terms of invisible disabilities and how it can affect a person to be greeted with such a hostile manner. The dog had her coat on clearly indicating she is a service dog and was well-behaved. Yet the server was looking to cause an issue, and my friends commented that she kept casting looks at the dog throughout our stay as though she didn’t like dogs. This was the worst restaurant experience I have had to date since my diagnosis. Most see the jacket and are instantly kind and welcoming asking if my dog would like some water. I always appreciate this so much. The judgment doesn’t always come from the workers, but many times from the customers as well. Last week at my work Christmas party, I arrived early and seated myself at a table with my dog. This restaurant asked me what task my dog performs (which is rare) and I appreciated this again as it gave me a chance to raise awareness for Ehlers Danlos and chronic pain. I never mind discussing my disability as having an invisible disability is a constant struggle. The restaurant owners were very nice and understanding, and I educated them a little on the difference between therapy dogs, emotional support dogs, and service dogs. I then heard two women across the room looking at me, rolling their eyes, and mocking the dog and myself. They were joking that I’ve probably got PTSD, as if PTSD is a condition to be disbelieved and have scorn poured upon. I wish I had said something, but I felt frozen. I looked down, my eyes welling up, just digging my fingers into my arm trying not to cry, trying not to let the lack of empathy and the instant judgment hurt me. But that day, for whatever reason, it did. Most people are kind. I will often hear parents whispering to their children that they cannot touch the dog as she is working which we really appreciate! Ginger is not just my service dog, but also my best friend and helps me with this illness. To have to deal with acute lifelong illness with injections and pain is hard enough, but then to constantly have to prove you are ill because people do not see you on the bad days or see you out when you don’t have your neck brace on (we can’t wear them all the time or we lose muscle tone) is like a double whammy in terms of high levels of distress. On one occasion I went to a local gym to take an aqua aerobics class for the elderly as the most I can safely manage is walking and gentle water movements. That particular day my wrist had gone out, so I had my wrist brace on. My hips were hurting that day, so I parked my car in a disabled bay using my badge. The minute I got out a woman started tutting and shaking her head at me. She saw one small wrist brace and made an “instant judgment.” A faker who has a disabled badge for a wrist injury and is going to a gym to use machines. No, a very sick girl who has just one of six braces on today as her wrist has subluxed and is here to use the hot tub for pain relief and do a thirty-minute class with women age seventy and up. On the flipside, there were times at my last job when I had been really struggling to hold my head up without pain and I wanted to wear my big cumbersome neck brace. The manager looked mortified and said that if I needed it I should not be at work as it would make customers feel uncomfortable. I often feel so torn. Some days I want to appear normal and with this disease you can fake it. We may look fine, but the truth is, we are not. Some days I really need my neck brace or other splints I have for various body parts, and these instances when I have been shamed make me feel like some kind of person who should be locked away. Sometimes I feel like I can’t win. If I had walked into that restaurant wearing a neck brace or sitting in a wheelchair with my dog, they would have had a visual cue that something is “wrong” with me and had a kindly attitude. But I would be a “disabled” person who is to be excluded from the world of work and “normal” people. If I don’t wear it, I am not given any benefit of the doubt and my dog and I have to struggle to explain ourselves. Can you see how easy it is to not really know what you are looking at? Imagine living this way, trying to be positive and live your life when so many of these daily interactions make you want to crawl away and hide. I don’t want to lose faith in the humanity of this world. I don’t want to believe I can’t have a place in this world as a person with an invisible disability. To be registered disabled for life is not something anyone can “fake.” To have to defend your disability is soul-destroying. Please…next time you see a service dog, or a seemingly healthy person with a disabled badge, be kind, maybe try to engage with that person in a non-judgmental way. Talk to someone before you assume the worst. You never know what someone else is going through. Here is some contact information for service dogs. 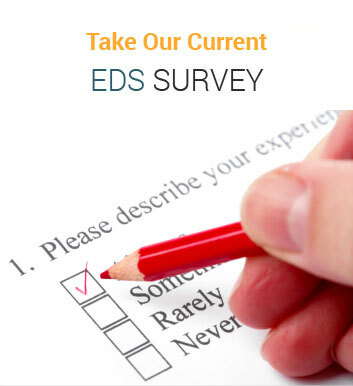 A good contact for EDS and service dogs is Ellen Smith.